Nasir El-Rufai has opened up on the challenges of being the governor of Kaduna State but he is not giving up as he eyes a second term. 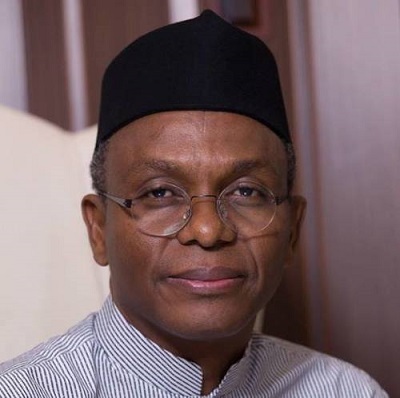 Kaduna state governor, Nasir El-Rufai says it is not easy to preside over the affairs of many people and that sometimes he feels like running away. Governor El-Rufai who is seeking a second term in office, said this when he spoke at an election summit organised by the Kaduna State Peace Commission. He said he would accept defeat if he loses the 2019 governorship election, adding that he would be in a hurry to pack out of the government house. “Let me first speak as the governorship candidate of the APC. Our party is committed to peace and peaceful elections. The political parties that merged into the APC were victims of rigged elections and the consequential violence that came with it. "It is the rigging of elections that leads to violence. It was the massive rigging of the elections in 2011 that led yo the wide spread violence at that time and Kaduna state alone, lost over 800 lives. “As the candidate of the APC, I am saying here and now that I am in a hurry to park out of the government house if the people do not vote for me. I will be the first to concede and I want to tell all that want to be governor that it is not an easy job… I want to run away. Governor El-Rufai vowed to deal with anyone who promotes hate speech and religious sentiments on social media in the state. “This is the biggest problem we are facing as a sitting government and I want to appeal to all of us politicians to reflect, think and desist from this because when you destroy lives by giving young people weapons and drugs for election purposes, what do you do with them after you win. They become a monster that is difficult to control. We have no thugs in the APC. "All those that campaign with us, we try to empower them to be employed so that they will be off the street. These are very serious issues for us so I want to appeal to my colleagues to temper our language, because politics is not war. “We are doing that vigorously; we do not care what people say. "Anyone that comes to Kaduna and say something or even say it outside Kaduna and his house is not in Kaduna state, no matter who he is, whether he calls himself bishop or Imam or Sheikh, whether he calls himself chief or Hakimi, we will bring him to justice. "We will arrest and bring him to Kaduna and prosecute him and we are on the trail of many of them that have insignificantly done this. Some in Abuja, some in Lagos, we will bring them to Kaduna and try them for incitement, for malicious falsehood, for hate speech. We are determined to do that and we will not politicise it because the protection of lives and property should never be politicise'' he said.